Faith Simpson is born at the dawn of the twentieth century into a dynasty that gives her everything she will ever need—except her parents’ love and attention. Often misunderstood, she trusts few as she grows up on the family’s manicured Long Island estate. Just twenty-nine miles away, on lower Manhattan’s dirty, crowded streets, Hope Lee’s world is one of poverty and desperation. The scrappy child of hard-working Irish and Chinese immigrants has learned to fend for herself, until a terrible disaster thrusts her into a strange, new world of privilege. When she meets Faith, Hope has faced enough loss to last a lifetime, and, like Faith, she has built an emotional wall to survive. Compelled by the tragic bonds of very different childhoods, they soon forge a strong alliance. But when Faith’s father chooses Hope as his protégé, and, worse yet, both Faith and Hope fall in love with the same man, resentment and betrayal threaten their bond. 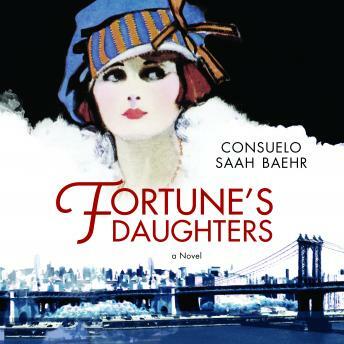 Caught in the tumult of World War I, Wall Street, union fights, and changing women’s roles, these two extraordinary women find that true fortune can’t be bought or sold.